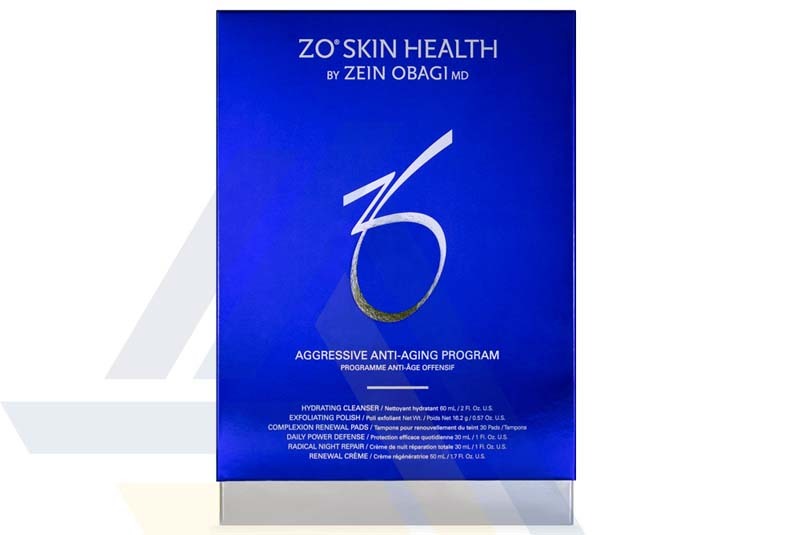 Buy ZO Aggressive Anti-Aging Program from Ace Medical Wholesale. 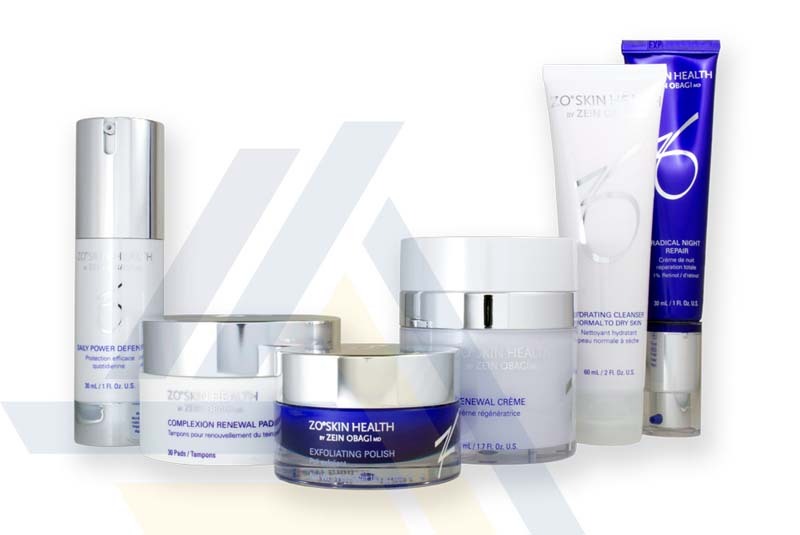 This seven-piece skin-care kit consists of Zo Ossential Daily Power Defense, Zo Oclipse Sunscreen + Primer SPF 30, Zo Ossential Advanced Radical Night Repair, Zo Offects TE-Pads Acne Pore Treatment, Zo Offects Exfoliating Polish, Zo Offects Hydrating Cleanser, and Zo Ommerse Renewal Creme. Indicated for patients over 45 years of age and older, these potent anti-aging products work together to smooth deeper wrinkles and lines. 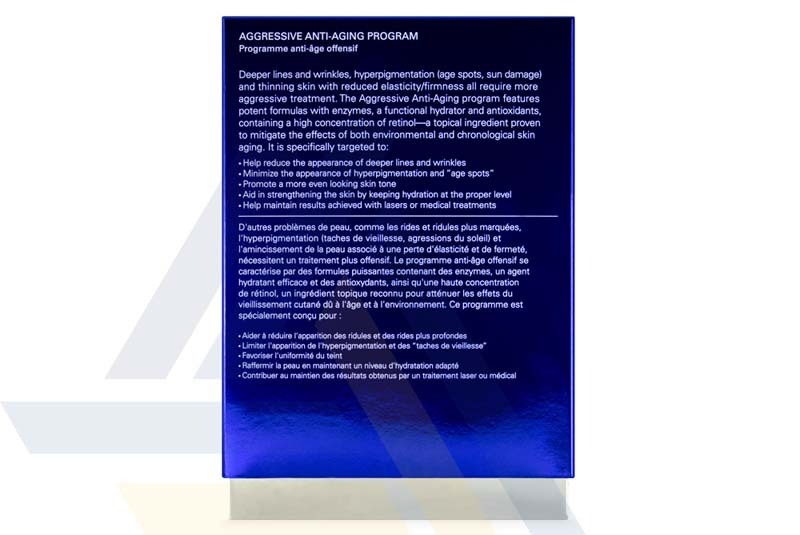 The products in this kit have ingredients such as antioxidants, Matrixyl 3000, photosomes, alpha hydroxy acid, retinol, ultrasomes, and ceramides to promote skin repair and maintenance while protecting the skin against future damage.